WhatsApp is a messenger its work with all windows phone, android phone, apple etc.. WhatsApp is a simple messenger. It uses your 3G/2G network or WiFi for messaging your friends and family. This one is the most people using social network in the world. Now Facebook application available for windows phone users and other smarphones like Android, IOS etc.. You can use Facebook very easily on your windows phone. It is a new messenger like WhatsApp. Now it's available for windows phone. This application very speed and secure for messaging friends and family. Its a texting, created by Facebook INC. You can message easily with this application. You can see your friends message without having to open your Facebook. It is a browser like Internet Explorer. This application very helpful for browse. This UC browser very fast and smooth for browse. If you can't download from your IE don't worry, we can download all files from this application (UC). This is a messenger, you can use it easily in your windows phone. You can send free sms via Hike only available in India. Number one online shopping in India now available on your windows phone. Now you can easily search products on your phone with this application and buy products easily from Flipkart through this application. We all know about Truecaller, now available in windows store. Its use for finding identity of unknown number. Adobe Reader for use view your PDF file. This application free and simple to use. 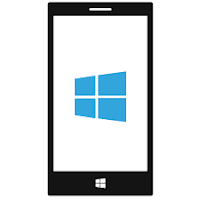 This application work with your windows phone. You can connect your friends and family through Viber freely. This is free a application for windows and other platforms. You can connect everywhere with this application. This application for watch movie online and offline. It is a good application for editing your photos. Most people use this application for editing their photos in the windows phone. This application very useful for book ticket for movies,event,play,sports or festival etc..
Snapdeal is an online largest shopping site, now available in windows store. We can buy products help of this application. Very useful application, it's very fast and secure. Opera mini is a web browser like UC and IE. You can download it freely from the windows store. Opera mini simple to use and it's very fast and secure.